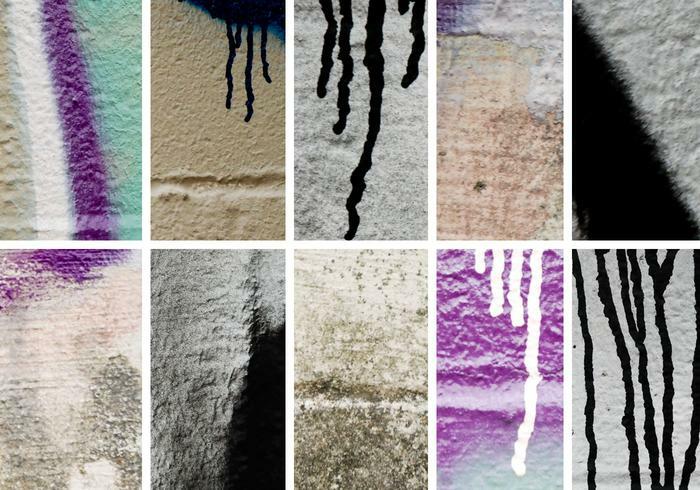 Spray Painted Wall Textures - Free Photoshop Brushes at Brusheezy! Brusheezy has the perfect texture pack if you are looking for a grungy graffiti type look for your designs. This Spray Painted Wall Texture Pack is filled to the brim with great and richly textured jpeg files that are perfect for giving that drippy painterly look. Included in this pack are 10 high resolution jpeg files that will give your designs a little edgier look. Be sure to check out the other textures we have, like the <a href="http://www.brusheezy.com/Textures/14399-Painted-Walls-Texture-Pack/premium">Painted Walls Texture Pack</a> right here on Brusheezy!